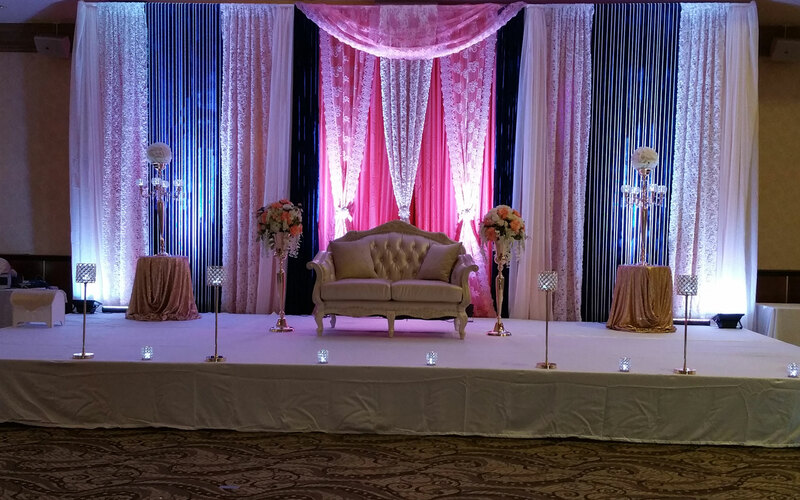 Whether you are planning to have an intimate wedding or an exorbitant one, Sohana Darbar Banquet Hall will surely match your unique choice, budget, and requirements. With a capacity of accommodating up to 375 in seating and 1000 in floating, the venue has a cosy and comfortable interior for the guests. It also offers an in-house team of caterers that puts all the efforts to delight the guests with mouth watering multi-cuisine dishes. Sohana Darbar Banquet Hall in Bhandup West, Mumbai. is one of the most sought after one banqueting facilities in the city. It was setup with a view to provide an elegant and superior banqueting space to cater to the varied requirements of their clients. Whatever the celebration may be, big or small, it is this firm's endeavour to make each celebration, a rousing success. It is one of the preferential venue partners to host corporate events as well as intimate gatherings and ceremonies like birthday bashes, mehendi, haldi, weddings or receptions. Sohana Darbar Banquet Hall, Bhandup, Mumbai, is a sumptuous hall for hosting all kinds of private functions. It has a spacious lawn attached to it so that your guests can have an indoor as well as an outdoor experience. The venue also provides in-house food and decor, so you can have a hassle-free experience. You can also get a DJ from outside and ensure that everyone has an amazing party. Sohana Darbar Banquet Hall gives the option of getting alcohol from outside and ensures that your guests enjoy a well-stacked bar.